P260681 Finish: Antique Nickel Features: -3/4'' inside diameter.-1'' external diameter. 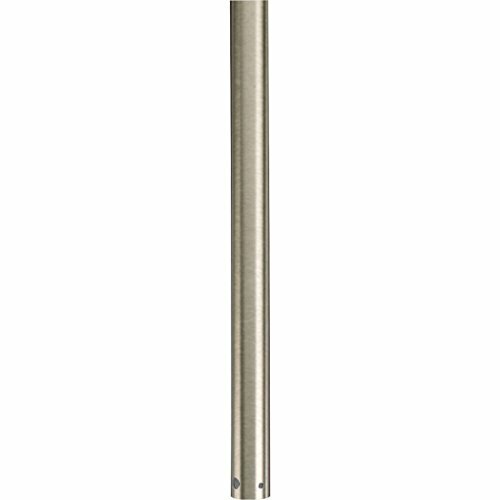 Dimensions: -36'' downrod for 12'-14' rooms. General - Extruded aluminum . 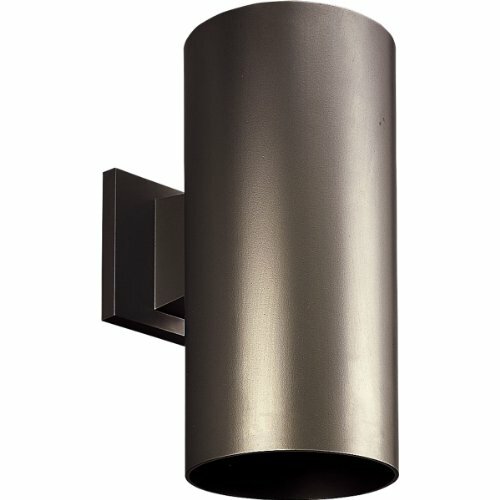 125 wall thicknessone piece cylinder - Cast aluminum wall bracket - P5641 - Down lighting - P5642 - Up/Down lighting. P8798-31top cover lens recommended when unitis used outdoors - Interior finish matches exterior finishMounting - Covers any outlet box - Cast mounting bracket is 4-1/2" square - Outlet box mounting bracket suppliedpermitting attachment of unit to wallwith one almost invisible set screwElectrical - Medium base porcelain socket withnickel plated brass screw shellAccessories - P8798-31 Top lens cover for P5642fixtureOptions - Bronze finish - specify â€œ20" suffix - White finish - specify â€œ30" suffix - Black finish - specify â€œ31" suffix - Metallic Gray finish - specify â€œ82" suffix Mounting Direction: Down / Shade Included: TRUE / : Duplicate. 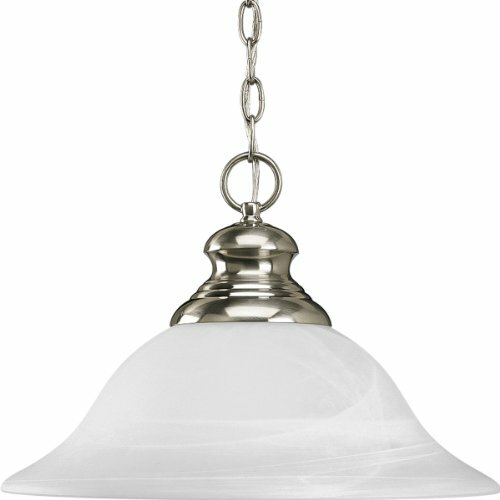 P4391-09 Finish: Brushed Nickel Features: -Etched alabaster glass.-Hangs from the ceiling. 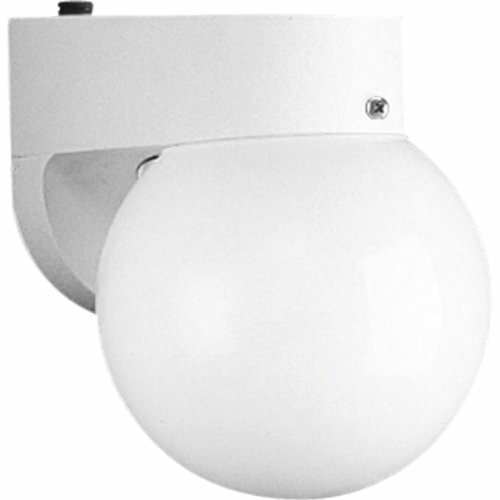 Specifications: -Requires five medium base bulbs (each 100w max). 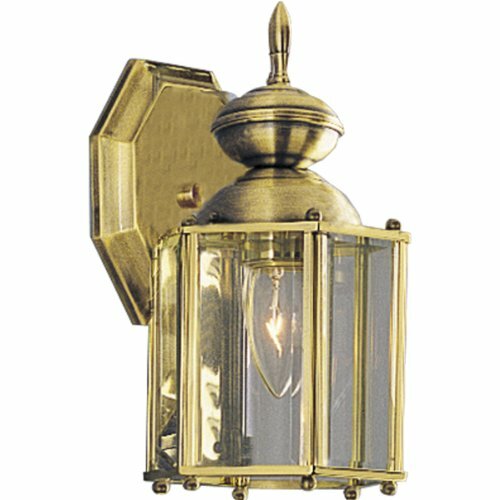 Dimensions: -Overall Dimensions: 15 1/4''H or as long as 54'' with chain, 15'' of wire, 22 1/2'' Diameter. One-light polycarbonate lantern with photo cell. General Etched Alabaster style glass: 15-13/16"dia. x 5-11/16" ht. 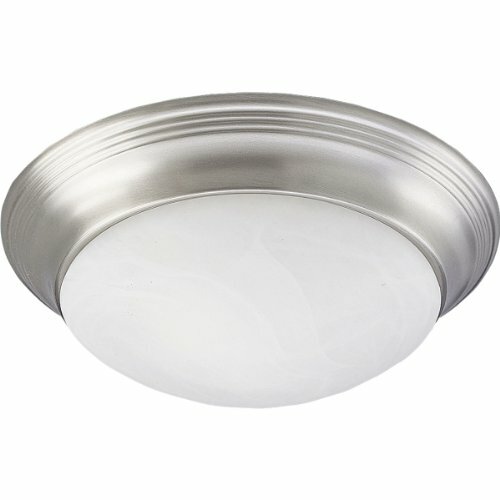 x 1-5/8" hole Plated finish for Brushed Nickel, painted on others Three feet of 9 gauge chain supplied Steel construction Companion fixtures: Chandeliers, pendant, hall and foyer, close to ceiling and bath and vanity Mounting Chain hung ceiling mount Canopy covers a standard 4" octagonal recessed outlet box Canopy is 5-1/2" dia. Mounting strap for outlet box included Electrical Pre-wired 15 feet of wire furnished Medium based ceramic socket Threaded socket ring secures glass. Shade Included: TRUE / Canopy Diameter: 5.50 / : Duplicate. General Steel construction (-04), (-27), (-33) & (-44) Hand-painted finish (-04), (-27), (-30), (-33), & (-44) are painted finishes (-09) Brushed with clear lacquer finish Plated (-10) Polished Brass, (-15) Polished Chrome finish (-09) & (-27) match finishes on Century Collection (-33) & (-44) match finishes on Bedford Collection Etched alabaster style glassP3689 10-7/8" dia. x 9-11/16" OD Lip, 9-3/8" ID Lip, 4" ht. Glass twist-locks into pan for easy re lamping No exposed fasteners Stamped ceiling pan with ribbed details Companion fixtures: any style with matching finishes Mounting Flush ceiling mount Covers outlet box Mounting strap for outlet box included Twist-lock glass Electrical Ceramic medium based sockets sockets Pre-wired. Shade Included: TRUE. 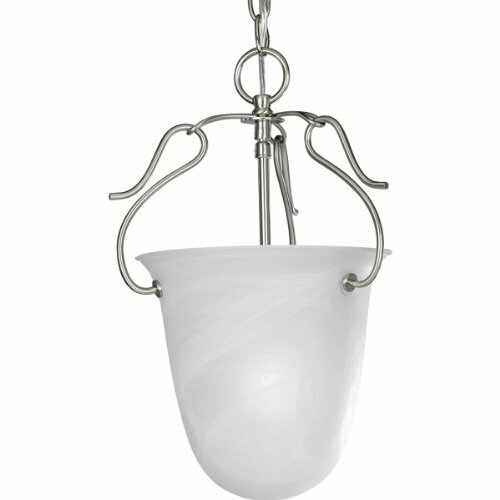 General Etched Alabaster style glass shades5-1/4" dia. 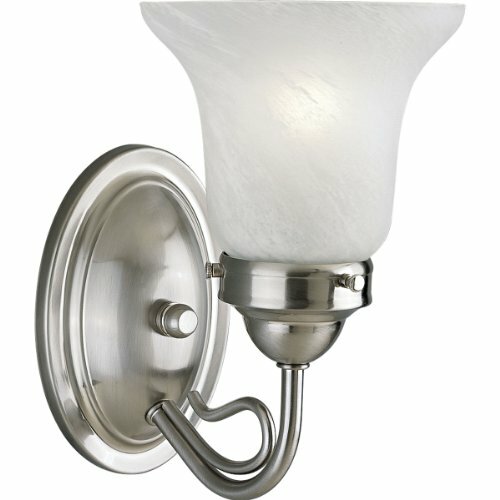 x 4-5/8" tall Glass shades are retained with fitter screws Scroll detail on arms Plated finish for Brushed Nickel, painted on others Stamped metal back plate Steel construction Companion fixtures: Chandelier, hall and foyer, pendant, and close to ceiling Mounting Wall mount Back plate covers a standard 4"octagonal recessed outlet box Back plate is 4-3/16" wide, 6" high Mounting strap for outlet box included Electrical Pre-wired Medium based ceramic sockets Shade Included: TRUE. 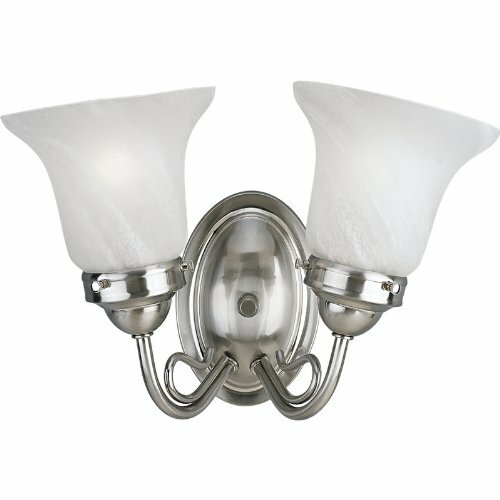 P3188-09EBWB Features: -Bathroom vanity light.-Etched glass shades.-Energy star compliant. Includes: -Three 13w 4-pin spiral compact fluorescent GX24q-1 base bulbs, (included). Color/Finish: -Brushed nickel finish. Specifications: -120V NPF electronic. 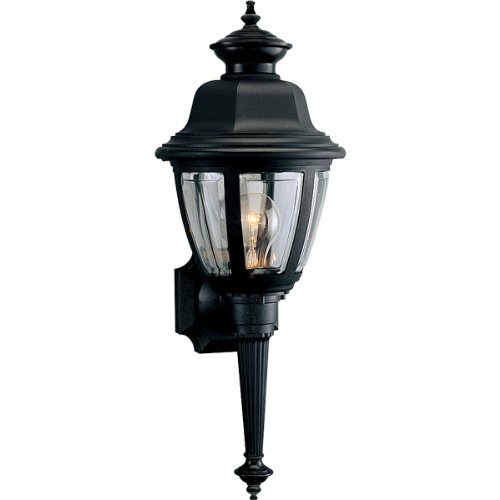 Dimensions: -Overall dimensions: 8.625'' H x 17'' W x 9.375'' D. Collection: -Bedford Collection. 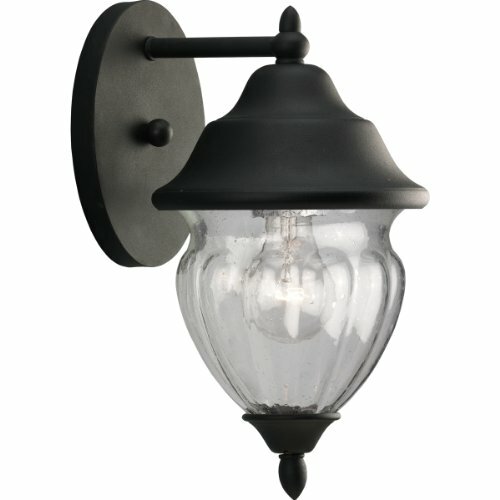 One-light wall lantern with clear seeded handblown glass urn. 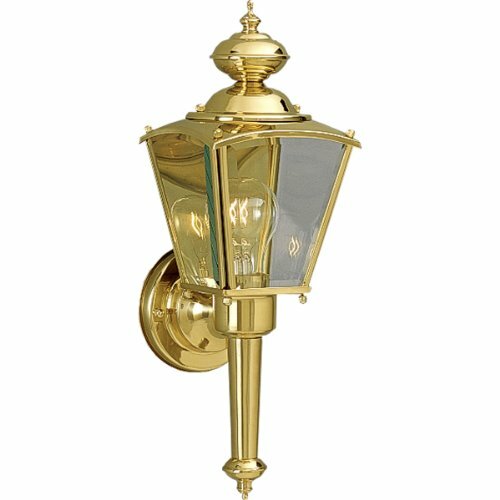 P3367-09 Color/Finish: -Brushed Nickel Finish. Specifications: -Requires one medium base bulb (100w max). 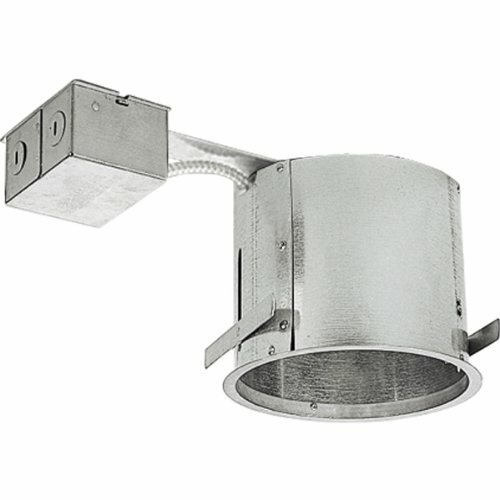 Dimensions: -Overall Dimensions: 8 1/2''H x 5 1/4''W x 7 1/4'' D.
P186-TG Features: -Remodel IC and Non-IC.-Retrofit version of P86-TG.-For use in existing ceilings.-Integral flange on housing.-Exclusive locking bars permit quick mounting in ceilings 0.5'' to 1'' thick.-UL and CUL listed for damp locations and through wiring.-Rated for 8 #12 90 degree conductors (4 in/4 out).-5.5'' Recessed Depth.-0.5'' Pryout. Dimensions: -6.875'' dia. Ceiling Opening. 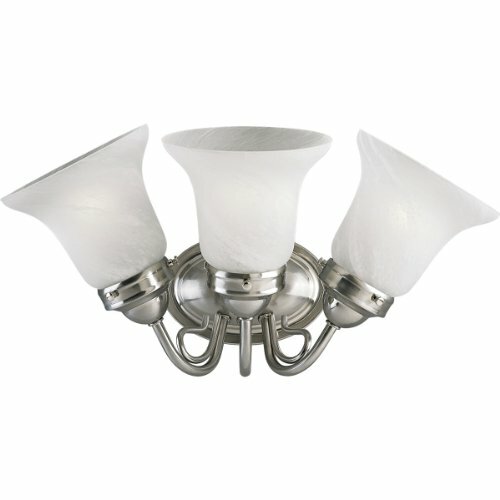 P3368-09 Color/Finish: -Brushed Nickel Finish. 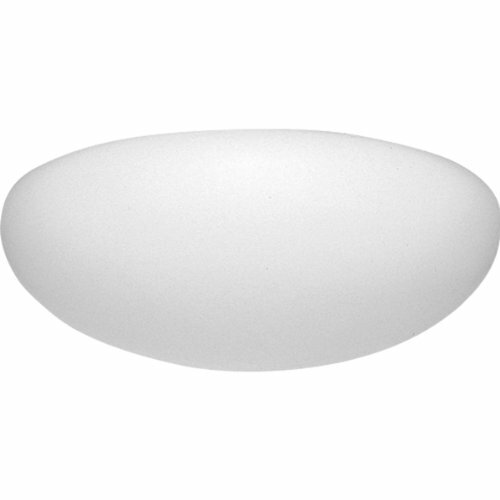 Specifications: -Requires two medium base bulbs (each 100w max). 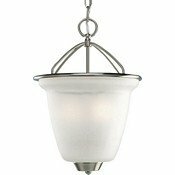 Dimensions: -Overall Dimensions: 8 1/4''H x 14''W x 6 1/4'' D.
12V low voltage MR16 mini-pendant with metal shade. General Etched Alabaster style glass: 8-7/8" dia. x 8-1/2" ht. 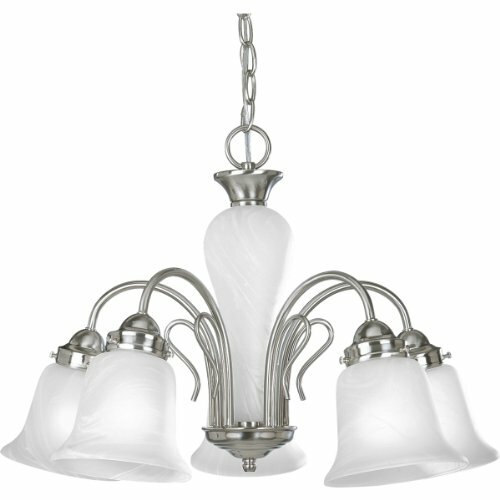 Unique three way scroll retains glass bowl Plated finish for Brushed Nickel, painted on others Three feet of 9 gauge chain supplied Steel construction Companion fixtures: Chandeliers, pendant, close to ceiling and bath &vanity Mounting Chain hung ceiling mount or close to ceiling mount without chain Canopy covers a standard 4" octagonal recessed outlet box Canopy is 5-1/2" dia. x 1-3/8" ht. Mounting strap for outlet box included Electrical Pre-wired 15 feet of wire furnished Medium based ceramic socket. 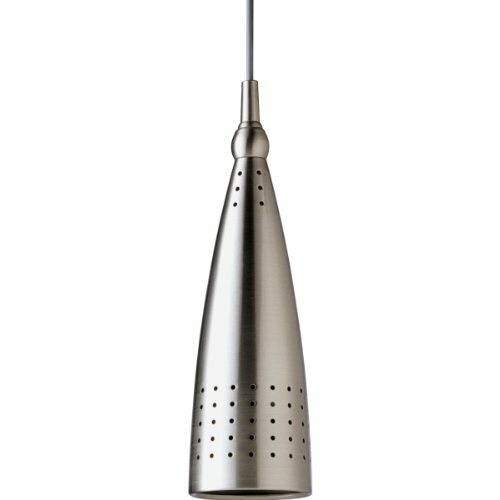 Shade Included: TRUE / Canopy Diameter: 5.50 x 1. White contoured acrylic clouds float off the ceiling. Regressed white chassis. Wall or ceiling mount with standard 120V HPF ballasts.